Apple might be a good New York City roommate, but a new report says that its landlord helped grease the wheels a bit in order to ensure its tenant would move in with little difficulty. Just how much grease? Approximately $5 million worth, courtesy of New York's Metropolitan Transportation Authority. Additionally, a two-year series of discussions ultimately found that the deal "was not a level playing field, was not fair to all potential bidders and was significantly slanted in Apple's favor," according to a report issued Monday by the New York State Comptroller's office. The story of Apple's Grand Central Terminal store reads like a New York mob drama. The area now housing Apple's prominently positioned store was previously leased to a restaurant named Metrazur. Metrazur, according to the comptroller's report, was under contract to carry the lease until 2019, but began speaking to Apple about transferring the lease in July 2009. The two companies allegedly reached a buyout agreement worth $5 million. The MTA agreed to give Metrazur $5 million to end its lease early but, in doing so, also tacked on a $5 million upfront payment for new businesses looking to move in as part of the request for proposal issued by the MTA. Apple submitted the only response for the space – due one month after the proposal was issued, notes the comptroller's report – and ultimately won out. 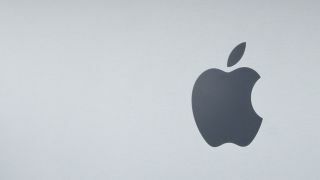 Not only was the $5 million payment a sticking point for many vendors who might have had ambitions to take the space themselves, but "at a minimum, Apple had both an informational and time advantage spanning many months. And, other vendors were afforded approximately one month to determine if the space was practical and the price feasible for them," reads the report. The MTA ultimately won out in the end, as Apple paid $1.1 million in rent during its first year in its Grand Central location – a figure four times that of the rent previously paid by Metrazur, notes the New York Times. However, Apple did win a concession from the MTA it doesn't have to share any revenue it makes from that location with the agency. It's the only Grand Central retailer with such a provision. According to the New York Post, the MTA doesn't agree with the comptroller's findings. "This audit is not fact-based, and, accordingly, their opinion is worthless," said Joseph Lhota, MTA chairman and CEO, in a statement. "The MTA's lease process with Apple was open, transparent and followed both the spirit and letter of the law."